This means that a LD rip of the game DOES exist!!! Someone should get in contact with this guy and see if he can provide a video! Check out my Youtube at https://www.youtube.com/user/zxthehedgehog42! It's played on the laptop. Video file format. 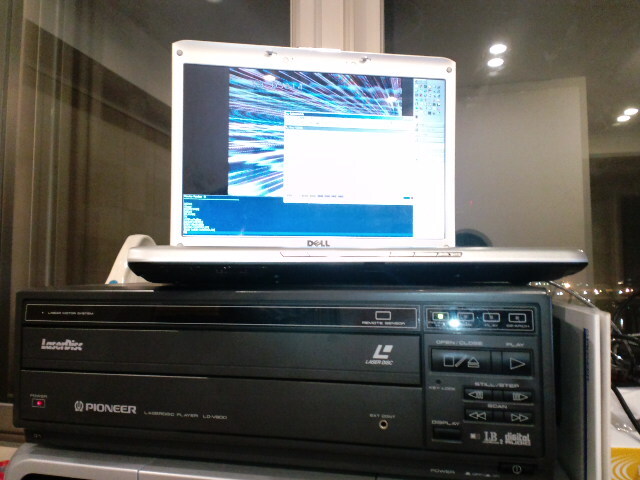 Hopefully, that LD Rip is still running in projector with 360 dome. But we don't know where he in japan lives in. 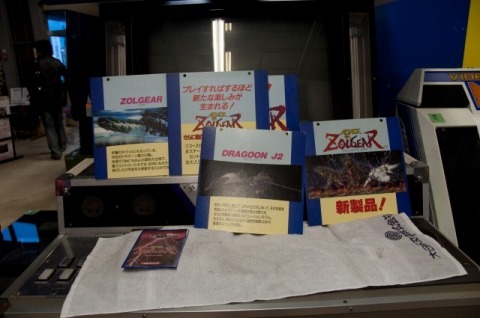 Does anyone have that Zolgear book? Notice the numbers on top right. It appears to be the number of frames for the whole length of the laserdisc. 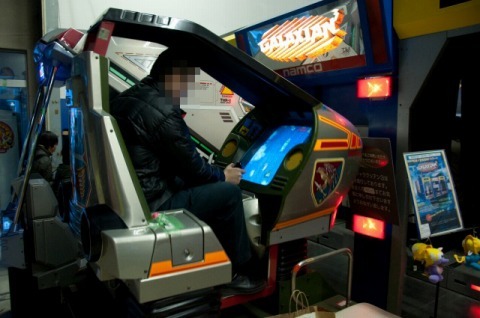 That can be said for the Galaxian3 28-player version. Also the one on the left of the frame number, It could either be the variation number or it could be the chapter number for the 16 screens. 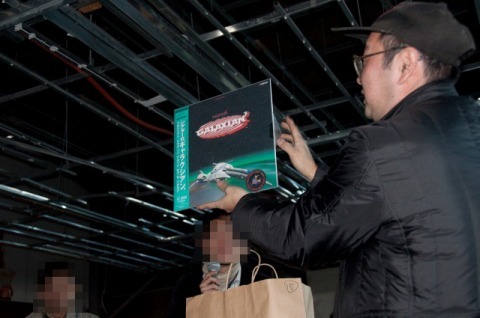 Regardless however, The laserdisc footage appears exactly the same. 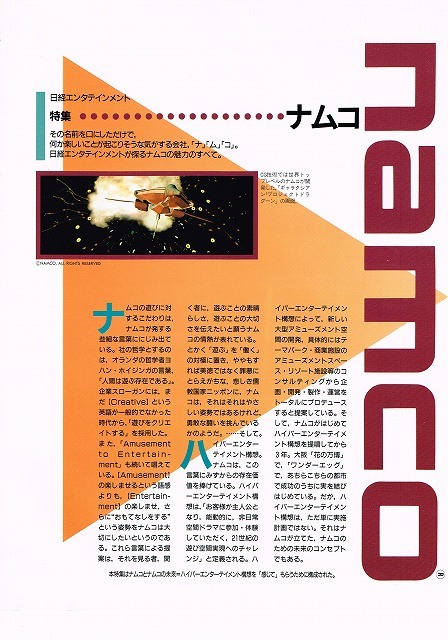 Delphi 7 is actually a coding language, released long after Galaxian 3 and widely used even to this day. 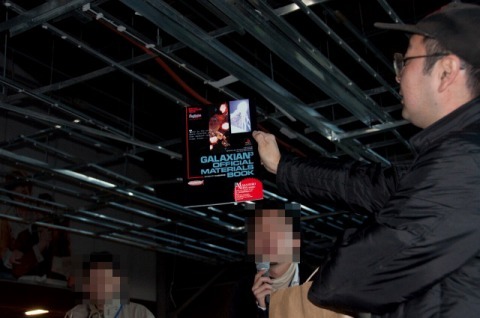 It is likely this person coded his video replication in Delphi, and used it to code the projection system. Hmm. 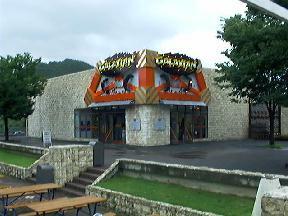 Well there isn't a tutorial on how to code a video replication so that galaxian3 attraction vid could be replicated. Edit: nvm. It replicates video screen to the projector. 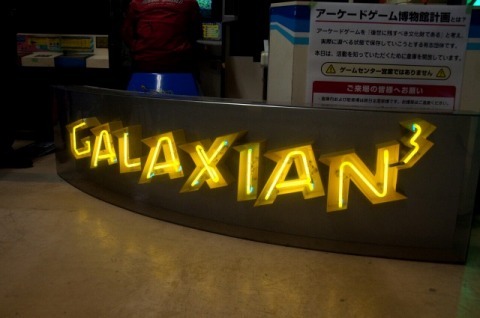 Now I wonder where that person got that galaxian3 attraction 16 screens video? It's been like a while now. Those were from the last days of the 16 player version. title logo picture (so many variations). too bright to see on the 2nd picture, but it's the artwork of the inside. 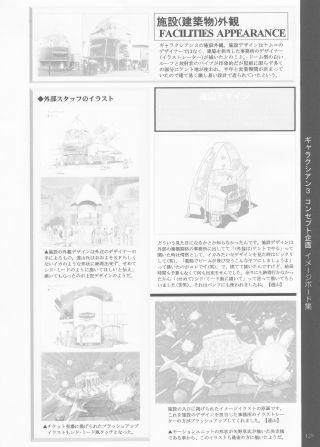 That's currently all I can find from looking up "ギャラクシアン3" on google, including some wonder eggs pictures. 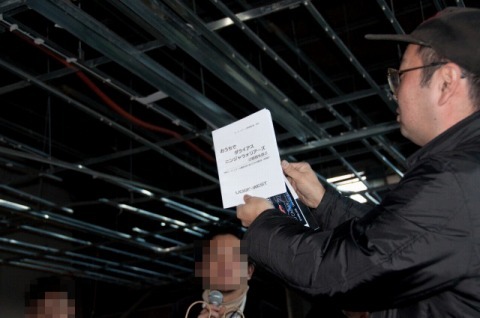 ...yeah, I use to do the same things, like googling all these words in Japanese! One thing that makes me curious though. While there's the 28 player audio on the OST, It also seems to include "Scenario Version 3.01β" from whatever it is from. Probably from an animation or just a Drama Audio (In which the audio track of a certain episode is heard or In which it's different from audio tracks now in episodes). 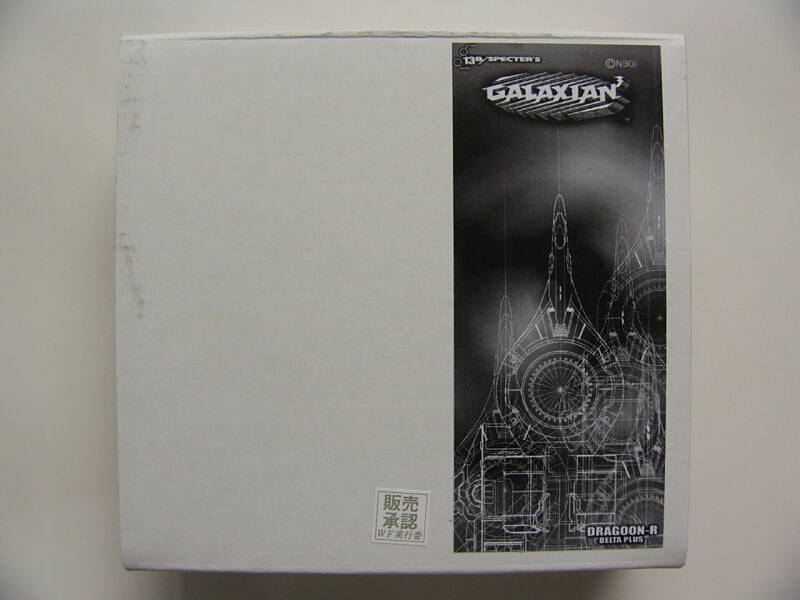 Aside from that WonderEgg 2nd Anniversary CD, there's the WonderEgg 2 logo on Auction. 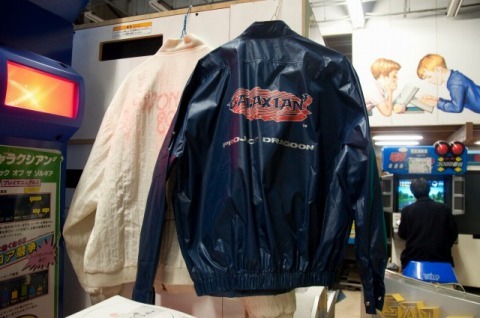 Simply 500 yen. 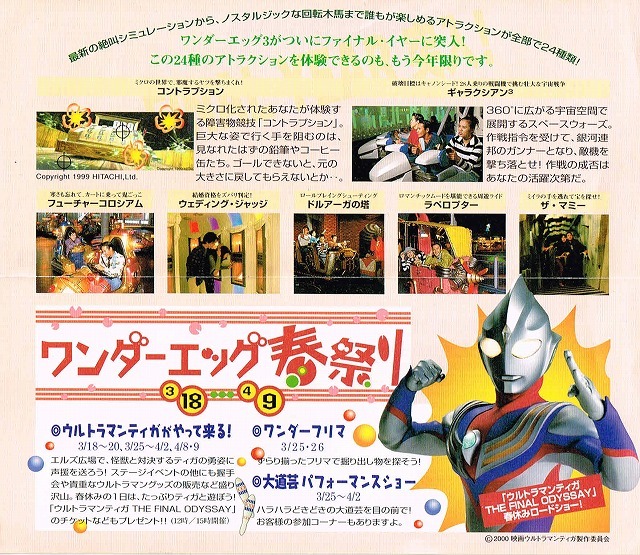 Also screenshots featuring Galaxian3 and Tower of Druaga attraction on the PSP Game of RIDGE RACER. 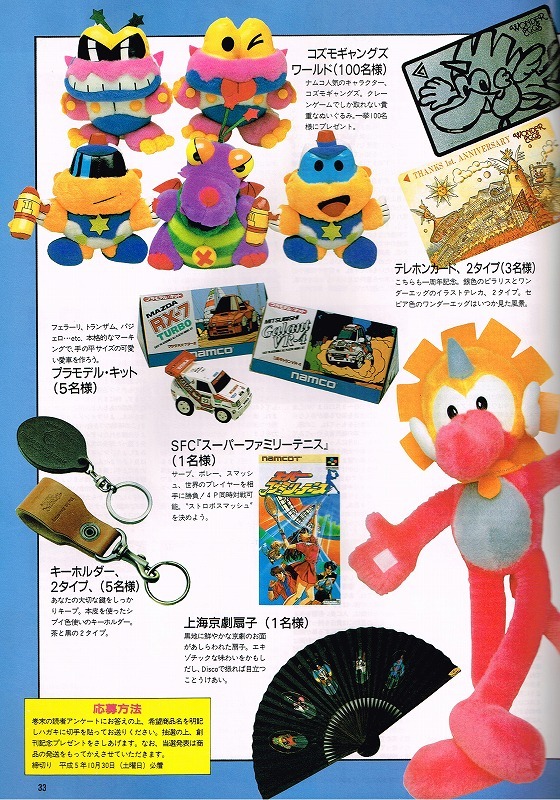 Anyone got any of these toys from that place? 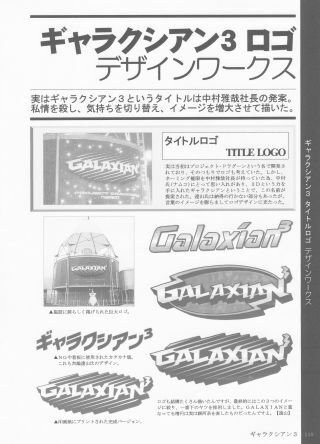 Just some Galaxian3 information. Probably the one we already know. 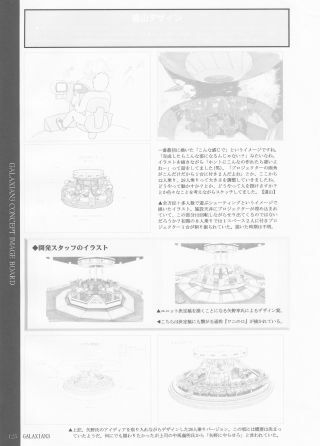 If only there was a scan of the entire guidebook... / It couldn't be that big, could it? I so want that. Obviously the park entrance's ticket station (Where you purchase access to the park)... I think. 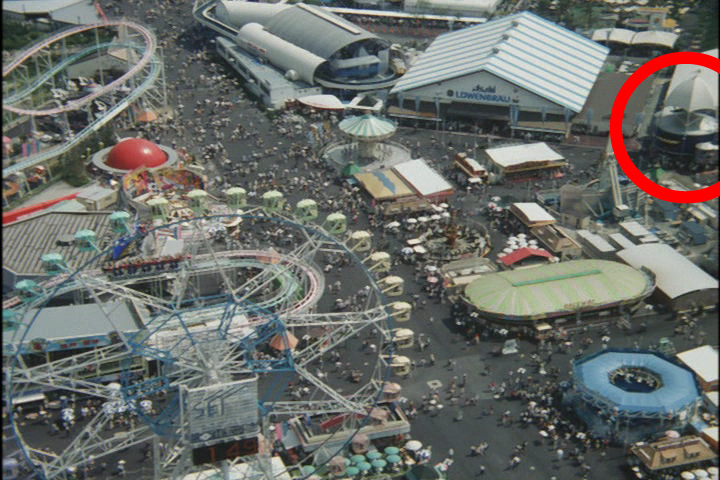 Uh, how di- oh, that's just advertisement of the park. 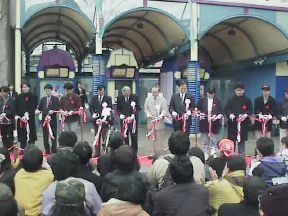 The WonderEgg 3 Farewell Ceremony A.K.A The Grand Finale, in its final hours before closure. Idk what song they were playing. But it could bring tears from the past. 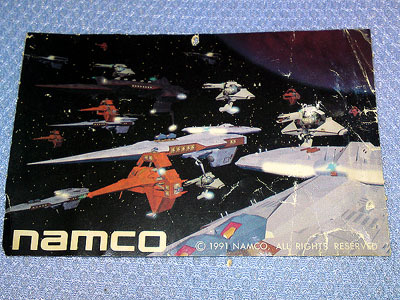 Well there's not really much of galaxian3, but there's some of WonderEgg. Still more Rare Gems to discover, more info to uncover, and pretty much some stuff to collect to prevent it from being disposed of. 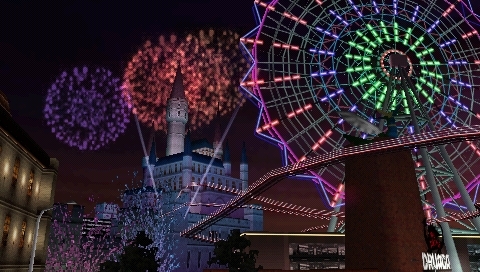 Um, was this part of the WonderEgg or was it on some other parks Namco built? well... 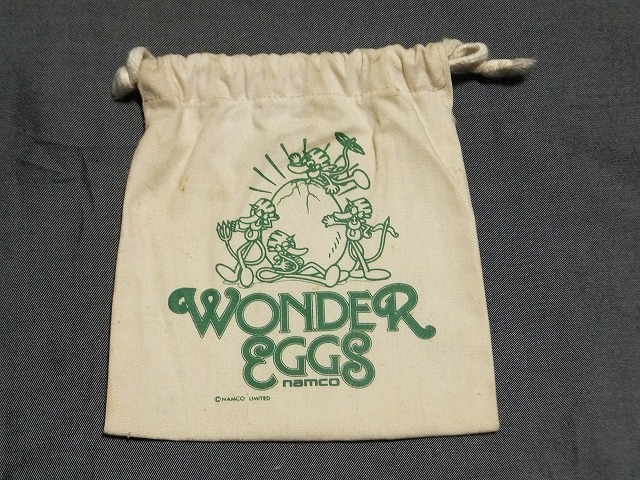 These're not at Wonder Egg. 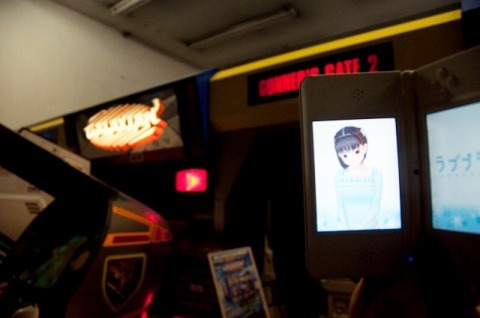 These pics are at "Osaka". 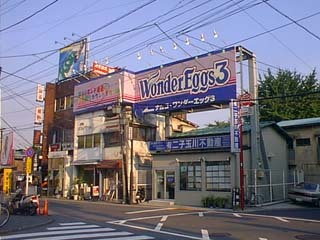 Wonder Eggs was not so big place. I think I found the answer to how he got those LDs. 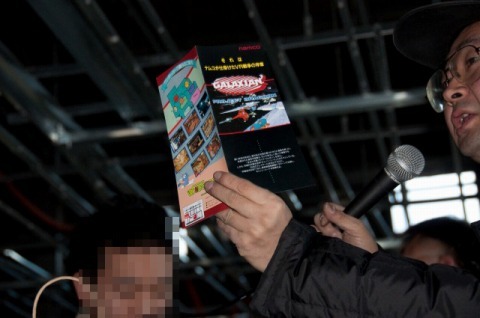 At the GALAXIAN3 auction that was still running at that time, few years before WE3's closure. Update: I'm sort of bugged out right now. 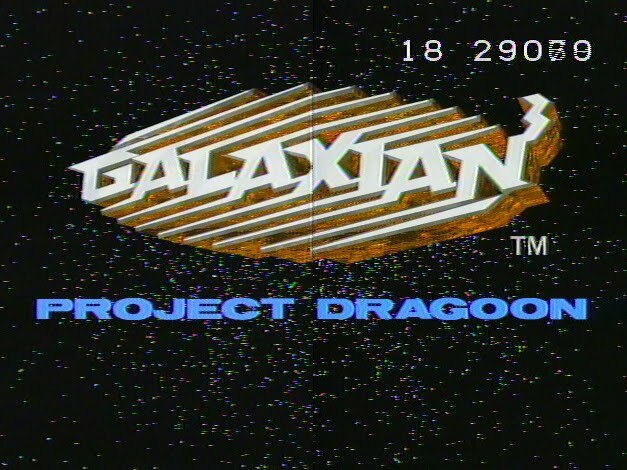 The GALAXIAN3 Project Dragoon and Attack of the Zolgear videos (Except for Camera-recorded videos and Rising of gourb) are "Not available in your country"! 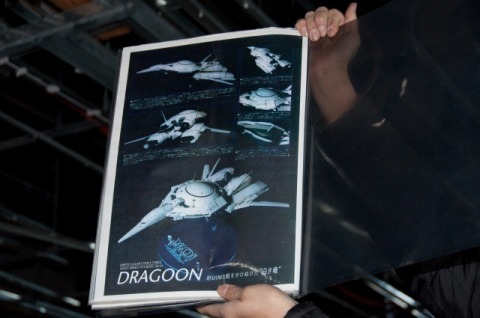 Both full and parts of laserdisc, even the PSX gameplay of Project Dragoon. The videos are still there though. 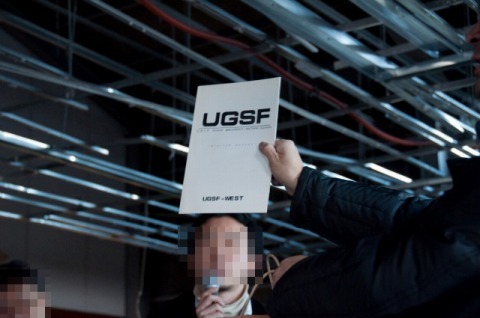 I know this isn't related to this topic, but I thought this was worth mentioning, since apparently, Victor Entertainment and other companies control which videos can be viewed in whatever country..
Something I wanted to post on the "Galaxian 3d diy gyroscopic ?" thread, but decided against, and I know it's been a long time since I posted in this, but I thought what I'm about to say was worth mentioning. Again, sorry for bumping the thread. It seems we're not the only ones. Apparently, MobileHackerz is using the Oculus Rift to demonstrate the gunner's POV of the 28-player video, and since that was 4 years after we saw it from 2010, this means that the LD Rip still exists, and we're not the only ones trying to bring it back to life. 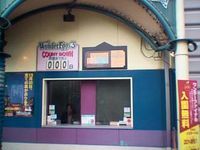 I also like to mention that when WonderEgg3 closed down, it was to be reopened for a limited time, but a recession and a few degrees in late redevelopment caused its permanent closure early, at least that's according to a few online translators.